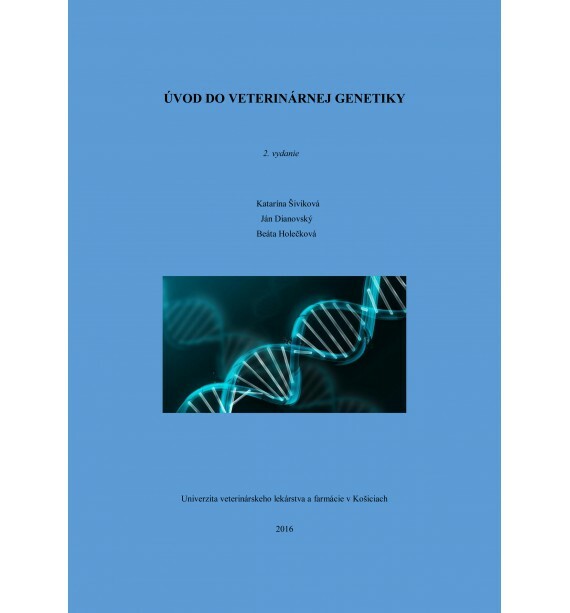 Katarína Šiviková, Ján Dianovský, Beáta Holečková - Introduction to Veterinary Genetics. Teaching text is designed for students of General veterinary medicine. It is focused on mastering basic methods for the analysis of genetic problems - determining the type of inheritance and determining the risk of offspring disability, acquiring basic knowledge of population genetics of qualitative and quantitative traits and formulating principles and conclusions in terms of improving health status and increasing the productivity of animals. Thanks to molecular – genetic technologies genetics has noticed a boom of new knowledge in recent years, which explains certain persistent uncertainties in the field of classical Mendel`s inheritance. New mechanisms, explaining the changes in gene expression, RNA interference and the importance of polymorphism of non-coding regions of genes in connection with the increase of production, also appeared. It is this field of genetics that is a prerequisite for the use of new diagnostic and potentially also therapeutic procedures in several diseases, not only in human but also in veterinary medicine. But it requires continuous study, for those who would like to gain more extensive knowledge in the field, each chapter is accompanied by links to additional literary sources.